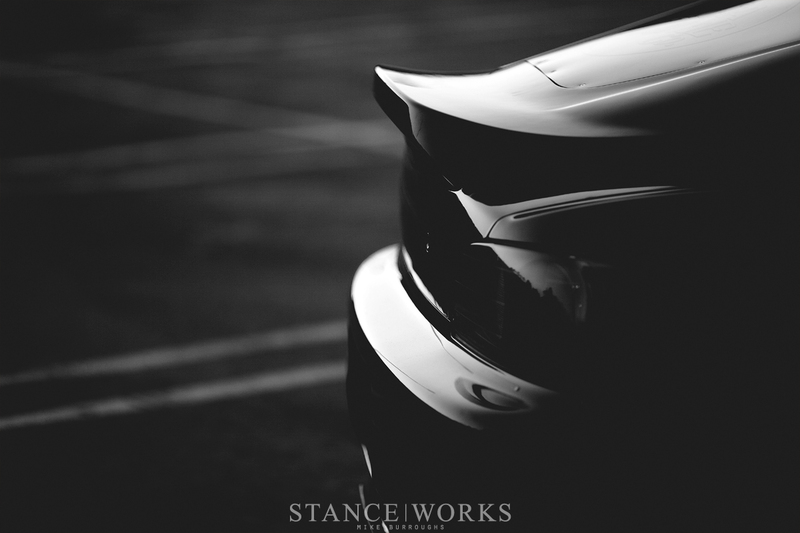 It was a full 6 months before StanceWorks had even become an idea. 5 years ago, I remember seeing Nit In's S2000, lit by the fluorescents of a concrete parking structure in a photograph shot by Jeff Morton. The photo was iconic in a sense; it has circled the web, making its way on to every forum at least a dozen times. I can recall referring to the "dark purple S2000 with meaty tires and flush fitment" on several occasions throughout the years; his car was elusive yet known by anyone involved in the scene at the time. 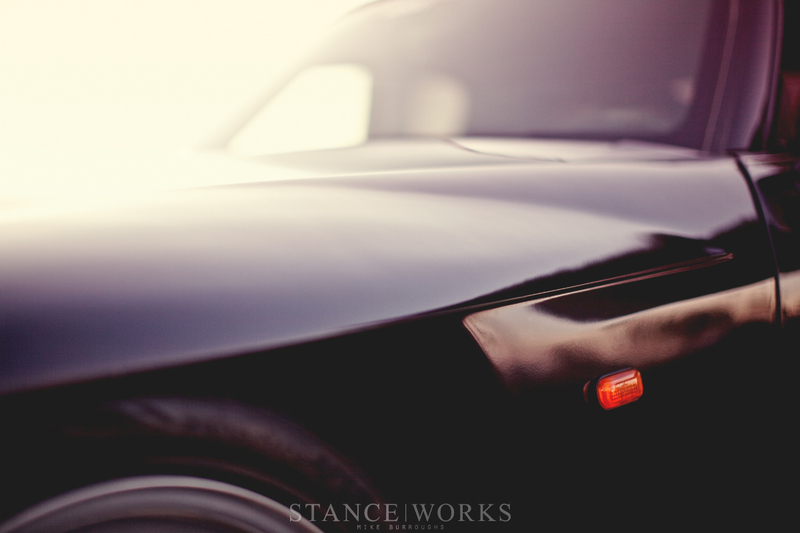 There was something about Nit's coupe that was impossible to ignore - it served as a source of inspiration for even my own builds; a stepping stone in aesthetics and style towards what made a "finished" car in my own head. Now, five years later, I find myself with a chance to share Nit's S2000 one-on-one, almost exactly as it was years ago. But we'll rewind back further than 2008, as Nit's story starts far before then. Instead, we'll go back to 2004, to the days when Nit found himself driving a '92 Acura Integra. It had the expected modifications: lowering springs, aftermarket wheels, carbon fiber hood, and JDM headlights, yet the rest of the car was beat up inside and out. "I was into street racing at the time, so the interior was already stripped and I was in the process of fixing it up for racing," Nit tells me. 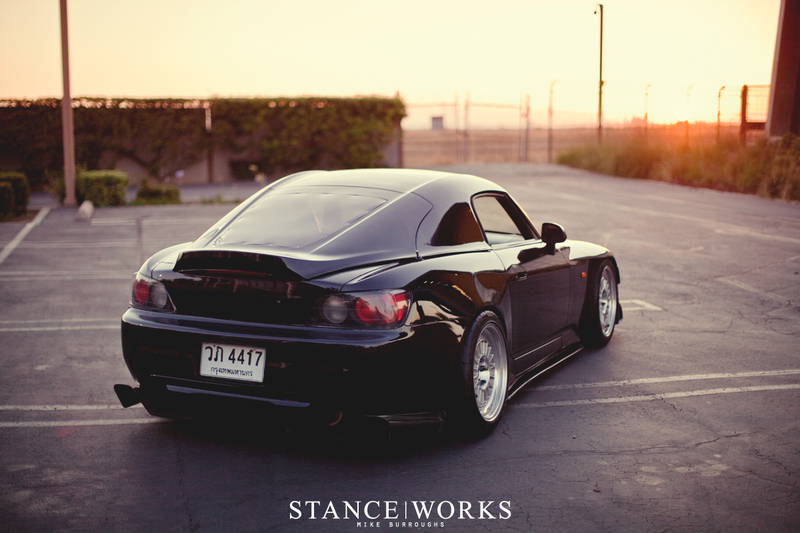 "But I always wanted an S2000. 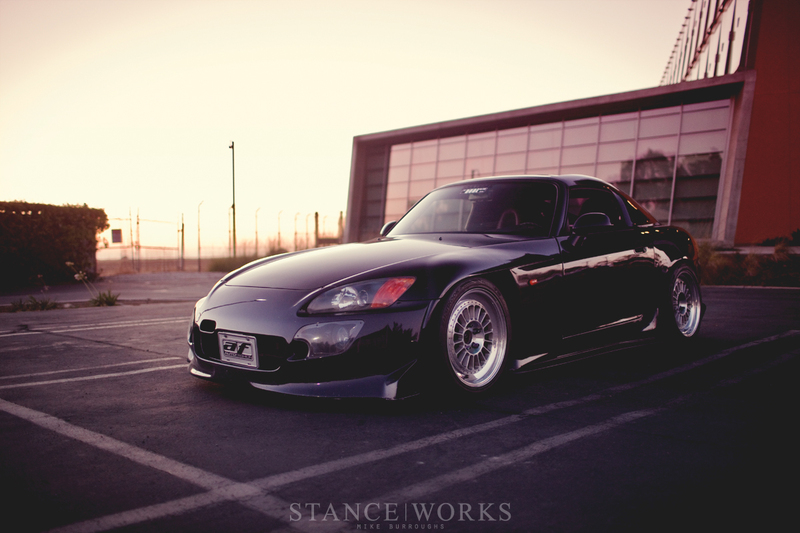 To me, the S2000 was a top-of-the-line car... The marketing of the car made me feel like I was buying a car one level down from the Acura/Honda NSX." In a feeling familiar to us all, Nit's heart was set on the S2000 - a dream car of sorts. It wasn't until a year later that Nit's dreams began to come within arm's reach. After working as a photographer at Wild Animal Park in San Diego, he landed a promotion to Assistant Manager. And what better way to celebrate a steady job, a pay raise, and your own birthday than by buying yourself a car? "My friend's mother worked at an Acura dealership, and they had a white S2000 with the black and red interior. Exactly what I was looking for." Nit handed the keys to his Integra over to his younger brother and went to his old man for help through the car-buying process. After the test-drive, Nit was in love - a love that he still feels to this day. "The first drive home was amazing. I drove with a smile, I felt I accomplished something big time. I couldn't wait to show my friends." Right away, Nit began modifying the car, but it wasn't in the direction we see today. At the time, Nit was still knee-deep in the street racing scene. He was blowing money left-and-right on the car, for parts like wheels, suspension, and a slew of engine modifications, all in the name of street racing. He even painted the car black, along with the wheels, in order to elude the police when necessary. However, it all caught up with him when he got popped by the cops in Compton after a race. Nit tells me "I realized I was wasting money on parts I didn't love... I decided to stop racing and get the kit of my dreams." He left the performance parts alone and decided to radically change the exterior of the car. A Spoon hard top, Spoon rear diffuser, Spoon front bumper, and eventually Spoon front fenders made their way onto the car, and a deep, rich metallic purple gave the car a more unique look. Even in 2008, Nit felt as though CCWs were far too common for his wheel choice, despite wanting them. 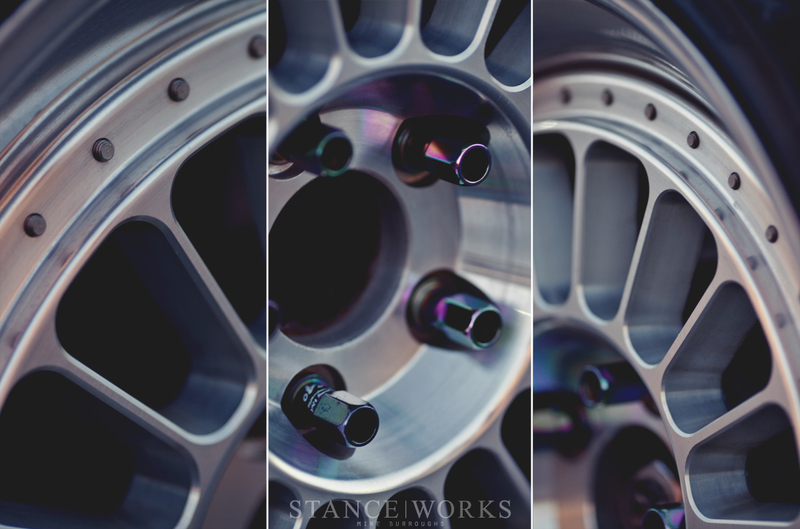 Instead, he went to Jongbloed Racing Wheels, a niche company that caters to track and race cars. "I remember, I was speaking to the owner. He asked me what kind of car I drive, and when I told him I drive a Honda, his enthusiasm dropped immediately. 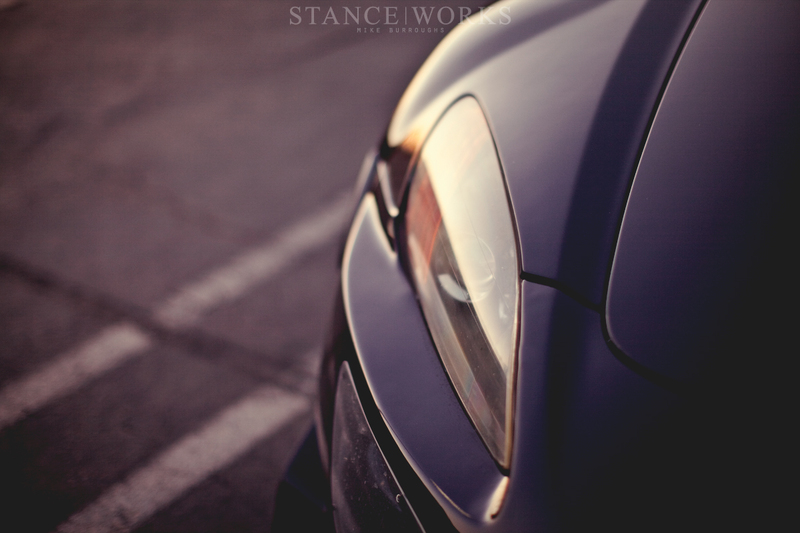 He had already explained to me that his wheels were track wheels, sold mostly to Porsches and such." But after some sweet-talkin' and persuasion, Nit had a set to call his own. 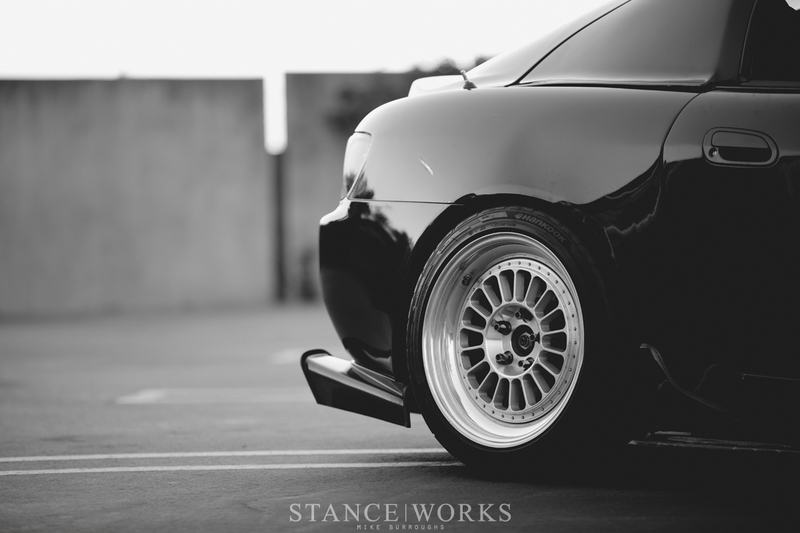 It was through his wheel choice, tire fitment, and taste in unique, rare parts that made his S2000 so memorable. But to anyone who knows the car well, it may be surprising that little has changed since we first saw it so long ago. "The reason why it remains the same is because I'm pretty much done with how I want the car to look." But for five years? It's rare that anyone sits on a car for so long without selling or changing it. However, that's when Nit's ideology towards car ownership took a turn towards a philosophy I had never heard before. "I plan on keeping all my of cars. I see people of all kinds, rich or not, collecting cars. The cars they love. I love cars myself... so I decided that every car is a trophy, or a motivation to keep working hard to get the next car I want." Instead of building and selling cars like so many of us do, Nit plans to keep his S2000 forever, as a trophy; a memorial to that segment of his life. The same will go for each car from here-on out. At the next cornerstone of Nit's life, he'll purchase the next one - perhaps an M3 or M5 - maybe a Lexus ISF - Nit's sights are set high once again; however, it's fitting. "A car is a reflection to my personality. Really. Im tired of seeing people buying cars that are trendy, fix it up according to the trend, and when the trend dies out, they sell the car. Or when they don't receive anymore attention, they sell the car as well," Nit says. It's a viewpoint that many are bound to agree with and others are bound to take offense to. "Too many people faking the funk out there... and too many people trying too hard to be somebody they're not. And too many people want to dictate how your car should be built, and the hatred from those people is evil as hell. It takes all the joy away from a car. I was involved in the scene, but now I would really like to stay under the radar, stay close to my real friends and enjoy my car privately." That's not to say Nit has never been one to seek attention. During his street racing days, he did his best to stay anonymous. "No one on the internet knew who I was or what car I drove. I was never a part of any crew or forums, and I never tried to get my car out there. I was only racing it, living the "underground" life." But after the fancy kit and paint, Nit changed his direction, and admittedly began to show the car off. "I didn't have a goal to beat people in racing anymore. My goal, like everyone else out there, was to build a car and get the attention for it. I honestly loved the attention I received." It wasn't long, however, before Nit felt the double-edged sword that notoriety brought him. He began to learn that too much attention can be an ugly thing, and that negativity began to make its way into the hobby he loved. That's when he began to make his automotive hobby solely about himself. i wish the photos showed off the dark purple paint. i thought the car was black before reading. I think it’d be pretty cool to see that picture that was mentioned at the beginning of the feature. You would think that any small/niche wheel company would be happy to have their wheels on any car. Whether that be a race car or a stanced one. 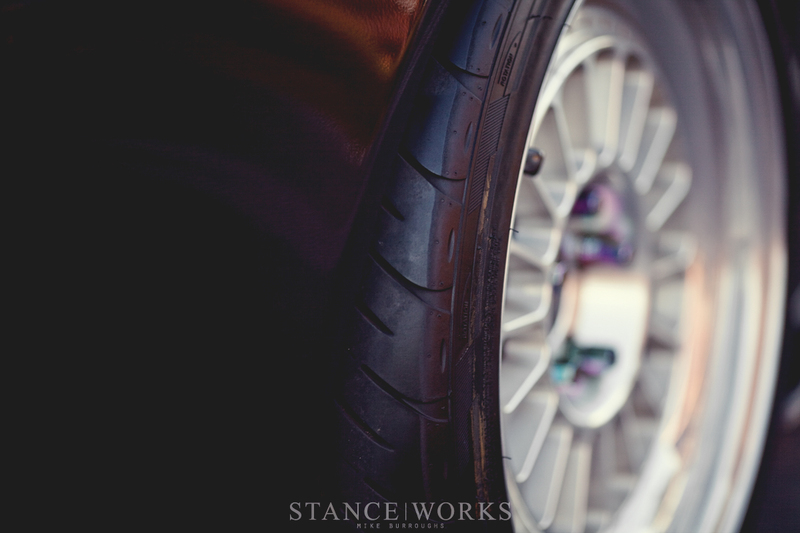 Work are predominately a race wheel manufacturer, but dominate the stance scene. @ryan, yeah due to Mike’s photo styling purple is not a color that shows up greatly, great piece regrardless. An enthusiast after my own heart. Build the car YOU want, forget everyone else’ opinion. Keep your projects and build a stable of automotive memories. ok it’s not just me that thought the orange peel that bad for a new paint job was unacceptable. This whole car has bootleg replica “spoon” parts from the top to the bottom. The paint on top reflects the crappy fiberglass copy part finish. I love his philosophy. I really don’t understand today’s revolving door policy if building and selling cars. I’ve seen some fantastic, one-of-a-kind builds get sold to the highest bidder without any regard for how the car will be loved.